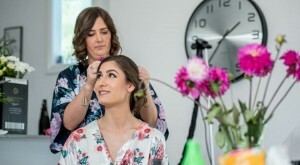 The Photo Studio - Melbourne - We are a collective of photographers, makeup artists and stylists who aim to help people see the best in themselves through the art and experience of fashion photography. We are a collective of fashion photographers, makeup artists and stylists who love to uncover people’s stories and celebrate them in a photo shoot. We are passionate about showing that anyone can look amazing on camera and believe that doing a photo shoot should be fun, creative, and most importantly uplifting. Posing for a photographer can be scary at first, but with the right creative team it can be a uniquely empowering experience. We are located in the heart of Fitzroy between Brunswick St and Smith St. Onsite parking is available when prearranged.